Finding any information on this release is proving to be almost impossible for me. And I also get the feeling that this is exactly as it should be. The artist formerly known as Streaky Jake only released his last album, Somewhere In The Shadows, four months ago. That release was a laidback, folkish affair, embellished with production frills by Alex from o||o. This is possibly a collection of outtakes from those sessions as it has the same overall mood but, is, if anything, even more stripped back. 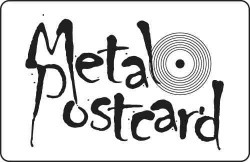 The only vague reference to this release I can find anywhere is this allusion from a Myspace blog entry – “also coming soon my label metal postcard is going to do a ltd ed release lo fi cdr – with some new songs” and a possible title on the Metal Postcard blog. Whatever, it’s the music we’re mostly interested in here, just expect to do a bit of work to track down a copy. And track down a copy would ultimately be my advice, as this is a great collection of tracks. Mostly, it’s Sean Gorman on his own with a nylon string guitar, a steel string acoustic guitar, or piano and his own plaintive voice. The first couple of tracks, ‘Easy’ and ‘Your Blood Is In My Blood’ hints at a musician willfully exploiting a basic skill level, strumming well but unextraordinarily on his guitar. Folk with punk ideals – anyone can do it. But then ‘Like Nothing At All’ breaks the mistique. It certainly isn’t shredding, but the fingerpicking is spot on, the movement around individual strings to create melodies out of the chord structures could only have been played by an artist in control of their instrument. And it’s really beautiful. Between the first handful of tracks are loud clicks, like the sound of the tape recorder being turned on and off, adding to the mood of immediacy. A cover of Dylan’s ‘Love Minus Zero/No Limit uses just rustic piano and voice to turn the song into pure funereal melancholy. The latter 5 or 6 tracks of the album feature fuller instrumentation, though generally with the same collection of instruments plus the addition of drums, leading me to believe these are the offcasts from from Somewhere In The Shadows while the album’s sparser, earlier tracks are the demos that never got past that stage. But then that suggestion sells the tracks short. Not a single track across the 50 minutes feels throwaway or unworthy of release. This is a seriously mysterious release, but this fact simply adds to its allure. It’s been seeping under my skin for a number of days now, and I keep finding myself wanting to come back for more and more. Yep – go to the bother of tracking it down. MP02 Morning City Stirs ep / dsico 12"
MP03 God Is Dead / dj foundation 7"
MP04 It's Spring / Swoop Swoop 7"
MP06 Spending Time / The Emergency 7"
MP07 EP / Never Heard of Zeppelin 7"
MP08 G-Had / dj foundation 12"
MP09 Merry Xmas War Is Over / Wax Audio 7"
MP10 Common Species / Wow 7"
MP11 Forever / The Emergency 12"